Tasty Tuesday #27-Pecan chicken salad plate at Claunch’s Cafe. MEGabite #27/75 counting down. 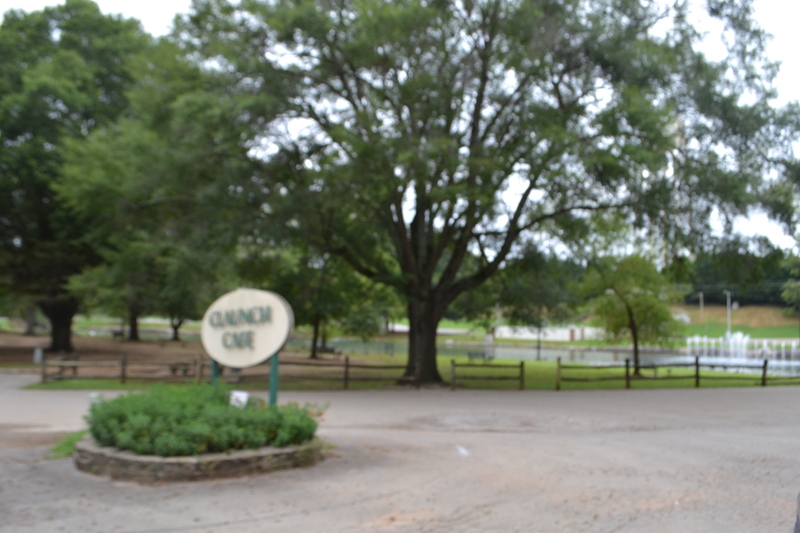 Last week on a whim, I had the delight of popping into Claunch’s Café in beautiful Tuscumbia, Alabama. On this stop, I had the privilege and pleasure of meeting the owners, and eating the most wonderful café meal that I have ever had in my life. I left a huge fan of the Claunch Café! It must have been extremely difficult for the folks at #TourismAlabama to decide on which Claunch Cafe dish to feature. Although, I have listed some of the items on the menu, my words do not do justice to the art of their craft. If you are curious, link below to photos on their facebook page. You WILL drool! Balsamic pear Salad with grilled chicken and balsamic vinaigrette. Pete and Lucille Claunch owned Pete’s Café in Tuscumbia. Lucille Claunch was a baker and did some catering for people in the community. Of course, her wonderful recipes are carried on through her son David. David grew up around fine cooking and in 1997 along with his wife Barbara, they opened this café in the beautiful Spring Park location. David is now passing down the business to his son Chris. I could feel the pride that these men take in carrying on the traditions of their family business. A beautiful setting, outstanding food and wonderful people, a dining experience I will never forget. Perfection on plate with a surprise. Everything about this dish was perfect. 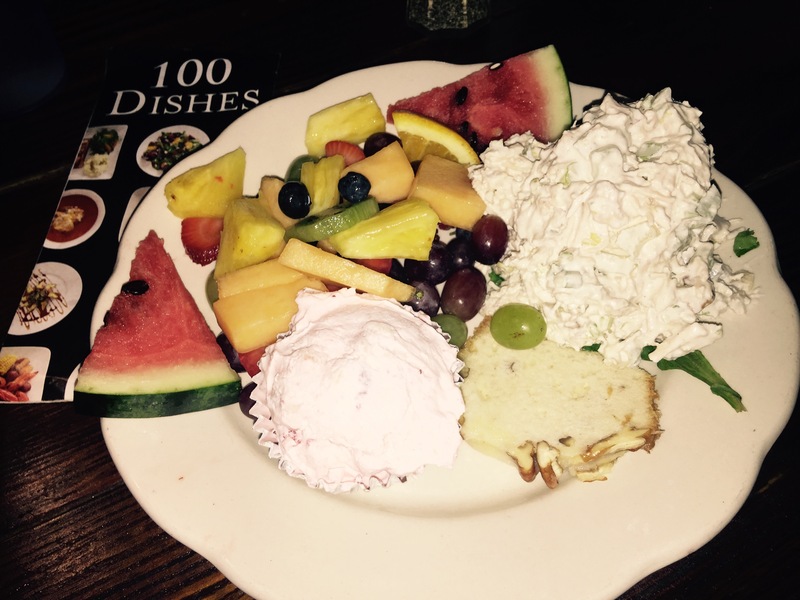 The fruit was beautiful and fresh, the chicken salad was really delicious and extra creamy with just the right crunch. This delectable lemon bread.could be a dish on the 100, it was that outstanding. I felt like I was getting a present with the oh so delectable frozen fruit delight. It also could have been a dish on The 100. It is served in the foil muffin liner. I thought it was going to be a sweet fluff served at room temperature. However, to my delight, it was frozen and tasted both sweet and creamy. I absolutely LOVED it! OOPs I forgot to take photo before I took a bite. 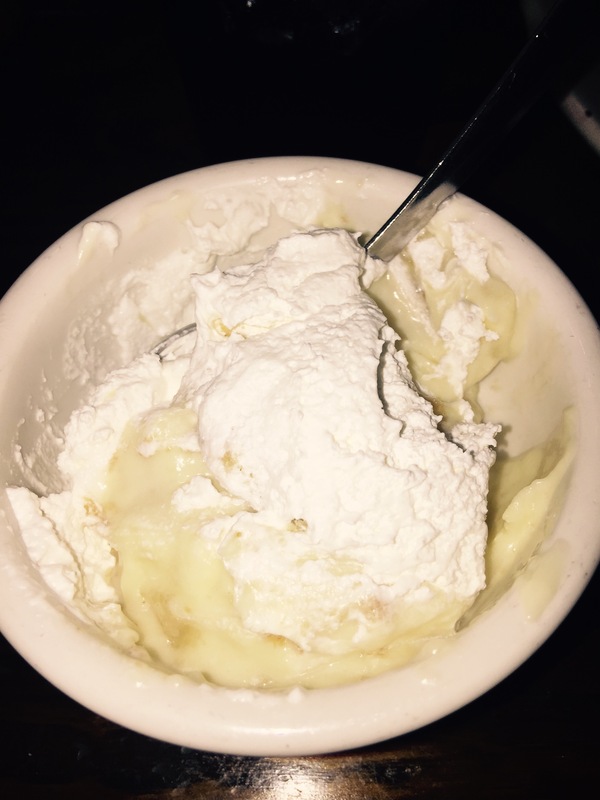 If this was not treat enough, Chris brought me some of their banana puddin saying that it was one of their best selling and loved desserts. Now, I have a thing for this stuff, I make mine from scratch. Even though I was stuffed, I dug in and oh my, fantastic and perfect. Thanks to Chris and Dave for making me feel so very welcome! Due to distance, I regret that I can not visit more often. There is not one dish on this menu that I would not want to eat. When I return to Tuscumbia, I will definitely eat here. Stop in and please say hello to Chris and David from Meg. **** For a really delicious dish AND for meeting one of the definitions set forth by Alabama Foods/Tourism, of local food and/OR highlights Alabama Pride. This family exemplifies Alabama food and pride. The 5th star ***** because I actually died, went to heaven and came back when I ate the dish. OR, something is very unique, something you can not get anywhere else. I want to make note that David and Chris both took time out of their busy day to make sure that I had a fantastic experience. Thank you Gentlemen. If you are anywhere near the Shoals around lunchtime the Claunch Cafe is a must place to eat. The food is OUTSTANDING and the staff is very friendly. Buy their recipe books. Although I own several Southern food cookbooks, I picked up a few tips from their recipes. They are found at the café. Know that the cafe is open 11 am-2 p.m. Mon-Thursday and on Sunday. Visit with an empty stomach so that you can try as many things as possible. Let em know I said hello!